I, like most people, enjoy the allure and beauty of jewellery that is created by luxury companies & expert craftsmen, but my latest experience with Cartier made me question the motives and the way that the company runs its business in relation to its customers. 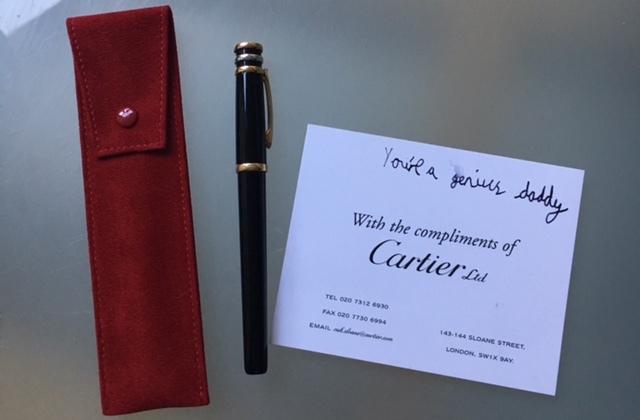 Many years ago a dear friend of mine, knowing my love for hand-written notes, gave me a beautiful Cartier ink pen for my birthday. Truth be told, while I treasured the gift, I didn’t use it too often, preferring my roller-ball pen instead, A few weeks ago, doing the clear-out that often goes hand-in-hand with new year resolutions, I got Cartier’s beautiful red box containing the Louis fountain pen and quickly realised that the pen wasn’t writing any more. I changed the ink cartridge – same result. Well, clearly a trip to Cartier was in order. I made the pilgrimage to Cartier’s gleaming boutique in Sloan Square, where the doorman was more welcoming that my female sales assistant. Morosely she examined the pen, produced a set of notes on it and told me that it will be sent to Cartier repair centre in London for examination. Once they had a chance to examine my pen, I will be called with a cost estimate and its copy will be posted to me as well. Several days later I was called by a female assistant who told me that the service technician recommended ‘replacement of the writing block’, in addition to ‘nib service’. My fountain Louis Pen would need to be ‘dismantled, inner pen cleaned, writing block and cartridge be replaced, pen be re-assembled, function test passed and outer body of the pen be cleaned, before being returned to me. The letter also stated that diagnostics showed that ‘the writing block is bent and requires replacement to return your pen to full working order’. The cost? An eye-watering….£250. I tried to contain a giggle and said that I won’t proceed with the work right this moment and would collect the pen from the boutique at my earliest convenience. However, when I came to Cartier two days later, the pen wasn’t there. The manager wasn’t available, so I drove back home, frustrated at the waste of my time. Back at home, I found Cartier’s embossed envelope with an estimate that listed the work, which would cost…£220. I was also somewhat puzzled to read the following note, part of the estimate that I needed to sign, in case I chose to proceed with the work: ‘In order to guarantee a service of excellence, and because any intervention on the creation’s components could lead to their deterioration and/or destruction, the price shown includes the removal by us of any components that need to be replaced, if applicable. The removed components shall become our property from the time of their replacement. By accepting the quotation, you irrevocably waive any right to receive any of the removed components after the repair’. So how would I know that something was actually broken in the first place? All I needed now is to figure out how to fix the pen without incurring the ridiculous cost. Later that day an assistant-manager of Cartier called. I explained my discontent with the service and questioned the estimate of repair, as I could buy a new Cartier pen for that amount of money. She proceeded to tell me that my pen is now somewhat rare, as they no longer produce them, adding that when it was back at the boutique, she will be happy to send it to me via courier. Interestingly, the pen was back on my table two days later….enclosed in a signature Cartier pouch, as was the ink cartridge that I brought to the boutique alongside my pen. As I was writing this post today, the assistant-manager of Cartier called me again, enquiring whether I have received the pen back yet. I confirmed receipt, as well as my bewilderment, considering the cost of the estimate & the result of my husband’s simple actions. While I appreciated her courtesy at calling me again, here is a question that I am now contemplating: what does this story tell me about Cartier’s customer service? Hygge or no hygge, what’s better than spending an evening, or a night, or a part of the day in cosy, comfortable and cute pjs? British brand Desmond and Dempsey ( D&D for short ) was started a little over two years ago in the UK by the then girlfriend and boyfriend team of Molly & Joel, who earlier this year, in August, said ‘I do’ in Molly’s home town of Brisbane and became a husband & wife team. Initially brand’s focus has been on online sales, as Molly & Joel wanted to collate as much direct feedback from customers & ensure their PJs were ‘perfect’ before expanding. The target audience is 20-35, but having said that, I no longer fit in this category, yet I have very much enjoyed starting and growing my own collection of D & D pjs last year, enjoying relative accessibility, timeless design and charming & personal customer service. All of Desmond & Dempsey pieces are designed in a classic, elegant style, some more girly, others slightly more unisex or as Molly quite eloquently put it to me a while back ‘our pyjamas were designed as his shirt for her’. Molly and Joel consciously chose cotton over silk as primary material, so you can put your nightwear into a wash (make sure you put them into a mesh protective bag first, so nothing gets caught in the washing machine during the cycle) every couple of days or take them on your travel adventures, without compromising on style or comfort. Initially Joel and Molly worked with a London factory, but as orders started gathering pace and Fortnum & Mason became a stockist (now Selfridges & Fenwick of Bond Street have joined that list as well), their factory team recommended a factory in Moldova, which was better equipped for greater scale. From then on the brand has been gathering pace and slowly and sensibly expanding their range (more on this later). Fashion is important to a woman from a young age, but while we are more prone to experimenting with our looks when we are young, with age comes experience and knowledge of what body shape you have, what clothes & colours suit you and the innate understanding of what clothes and styles help enhance your looks. However fashion, as is beauty, is often driven by youth and while older women have a more significant income at their disposal, not many retailers and brands utilise women over 30 in their ad campaigns or design clothes with them in mind. Asquith was started by Alice Asquith in 2002 and in a way she was a pioneer of yoga and Pilates wear when they weren’t fitness and mindfulness buzzwords. 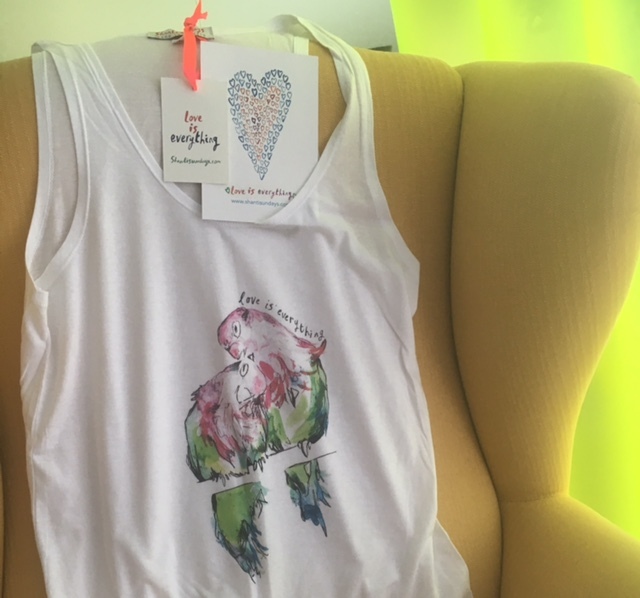 The brand is still going strong, growing, changing and expanding and I thought it would be interesting to spotlight this leisurewear brand and the creative woman behind it. Alice and I met at her home, which serves as her creative hub. A place with high ceilings where a woman who knows her style lives. Alice herself can serve as a model for her designs – she is tall & slim, with long, lean legs and beautifully flowing hair. Wearing clothes from her own collection, it’s as if from the beginning she wants to let you know that she is her brand and her brand is her – and after having spent some time in her company, I can see that she actually lives and breathes it! With background in music industry and doing research for a criminal novel writer, Alice reached a point in her professional career where she felt that something was missing and decided to change the path. Her mother and grandmother designed their own clothes and when Alice showed me their black & white photograph, my immediate thought was that they could have easily passed as Vogue models. 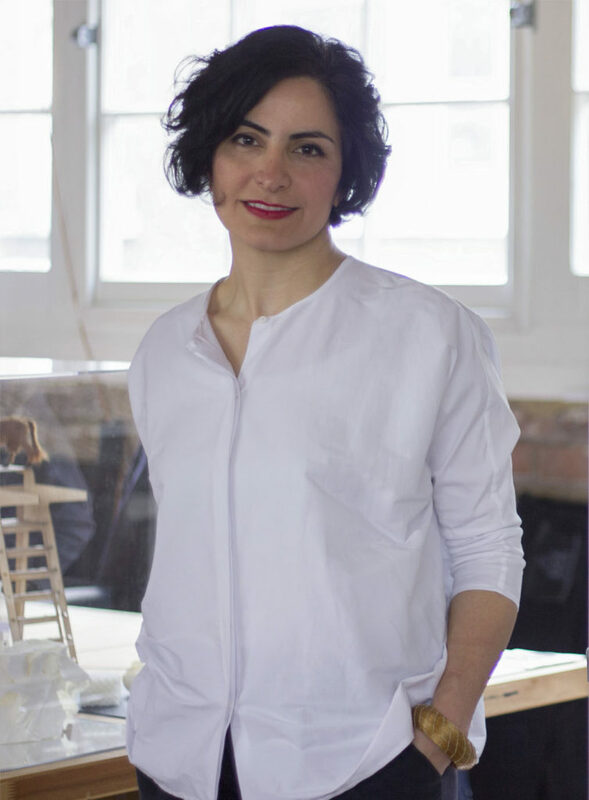 Initially Alice toyed with the idea of designing maternity clothes, but quite quickly changed her mind, after realising that expectant mothers don’t look to expand their wardrobe significantly during nine months. As Alice was and is a big fan of yoga and Pilates, life balance was innately important to her, as well as clothes that had an easy-fit, felt soft to the touch, were good quality, as well as looked elegant. In 2002 she used cotton and bamboo, now her preferred fabrics are organic cotton and bamboo or Bambor, which is a blend of both, as well as elastine, which helps clothes maintain the shape and reduce ‘pulling’ – fabrics that are natural, anti-bacterial, breathable and help to regulate your body temperature. As we talked, I did tell Alice that while many sportswear brand are focussing on high-tech performance fabrics, in addition to high costs, many of those items actually end up smelling quite bad after exercise. Interestingly enough, in most cases you don’t get that when you wear a plain, cotton t-shirt. Asquith cloths are soft and comfortable, they hug your body in places you want them to ( for example, none of us want our t-shirts to ride up during a yoga inversion or Pilates pose, exposing our private parts for the class to see), as well as drape parts we want less focus on. Asquith t-shirts, tops and leggings also help to regulate your body temperature, as fabrics can feel cool or warm on your skin, depending on your activity or body temperature. Alice designs for women aged 30++ but if you look at the current, SS16 Wanderlust collection, that was inspired by the vibrancy, beauty, energy and colours (rio pink, verbena, azure, satsuma paired with classic shades like navy, black, grey and snakeskin) of Brazil, there are also styles and colours that would also appeal to a younger women. Any woman, given an opportunity to wear colour that made her look beautiful and flatter her complexion, will wear that colour. 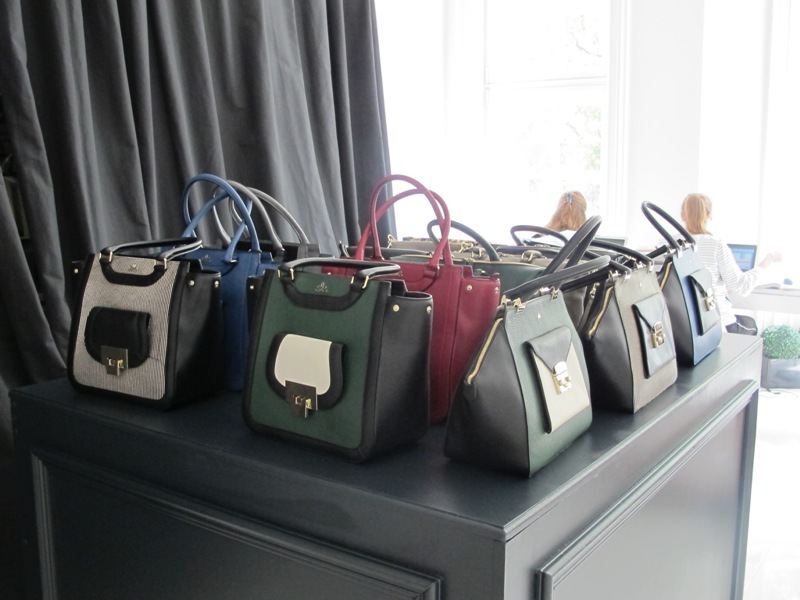 Alice creates two collections a year, with spring/summer launching in February and autumn/winter in September. All the clothes are manufactured in Turkey and Alice always tries to achieve the balance between comfort, practicality, performance and style. Her clothes are meant to take you from a workout to a lunch with colleague or girlfriend, without compromising on style. Just change from trainers or Pilates grip socks into heels, add a piece of jewellery and you are good to go! We are all short on time and while time to clear out heads and workout is important, so is the sense that you are well-dressed and ready to face the world. As Alice does regular fitness classes, varying what she does, so she doesn’t get bored, she also keeps an eye on what women wear, the fit, the detailing. As Alice showed me the pieces of her collection, it was clear that she is a perfectionist, who actually understands what women need. The little seven chakras details, the pleating, the fabrics that are relaxed but also pull you ‘in’ in the right places. For Alice sustainability is not an empty word and neither is the intent to run the business that has customer at its core. 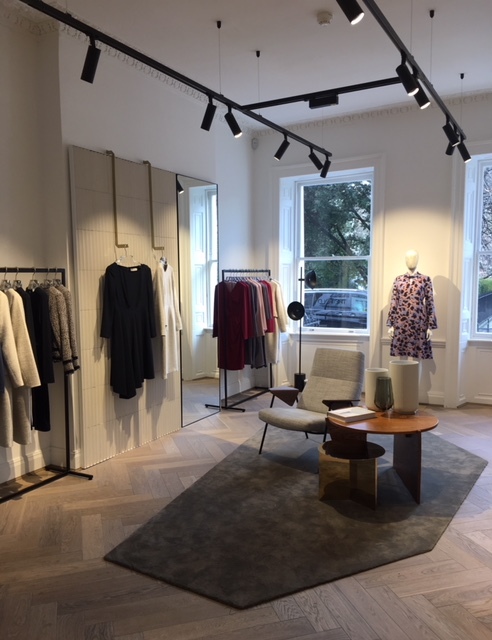 We wear clothes against our skin, so comfort is essential and Alice always looks around at women – how they wear things, what colours do they favour – by amalgamating this knowledge and attention to detail, she designs her new collections & adds new interesting twists. Alice has a loyal & predominantly female team working with her, who have worked with her for many years and even though the team isn’t just London-based, every Christmas Alice gets everyone together for a celebratory lunch and an opportunity to catch up away from the office and work. Designing for confident women, who have a varied lifestyle is important to her, as she is also not the type of woman to rest idly. Our meeting is brisk and to the point, with Alice answering my questions but not treating me like lounge guest. Asquith is affiliated with Pilates governing body, as well as British Wheel of Yoga and in addition to her own research, Alice talks to yoga and pilates instructors, as part of her research, always looking for answers to questions ‘what is missing’ & what can be improved when it comes to design functionality and comfort. I recently read a review of the latest Lanvin collection by Robin Givhan on the Business of Fashion and something stuck in my mind: ‘fashion is difficult and defining a vision and crafting enticing garments to reflect vision is a high hurdle’. One needs an eye for proportion and creating clothes that fit just right – not loose, not tight. When it comes to good clothes they begin with quality fabric, that also has good colour choice and a visual that appeals – in many ways that is what you get with Asquith. My own experience with wearing Asquith has been interesting. The first thing I noticed was how soft the clothes are and once you put them on, you hardly want to take them off. My Smooth You tee in satsuma is the cosiest t-shirt I have probably owned. I love wearing it when I work at home, when I exercise and I loved using it as a layer on my recent weekend getaway in Paris. The vibrant colour, peaking from underneath my cashmere cardigan, worn with jeans, is eye-catching and when Parisian women nod at the way you dress you smile. Zip It black Leggings are versatile and not shiny, so I easily wear them to the gym (I love clothes that don’t dig into your skin or rub against it when you workout, be it while doing yoga poses or a cycling class) or again, when working at home but equally they are great when worn with boots and a long sweater. Alice offers women a lot of leggings choice, mine attracted me with a cute zipper detail at the back, that match the colour of my t-shirt, some women would love seamless styles and others will be drawn to the ones that have a little skirt, layered on top. Zip It Sweatshirt is a laid-back option for doing a school run, before hitting the gym, a great one for the weekend and looks smart when worn with jeans and a blouse peaking from underneath. I can also see myself wearing it with a colourfully bohemian chiffon skirt and white trainers on bare feet, once it gets warmer in the city. To me comfort and style need to go hand-in-hand and since my Asquith parcel arrived ( in a fuss-free, simple biodegradable bag), I love wearing each piece and will certainly expand my Asquith collection. After all, if I can buy pieces that are ethical, comfortable, stylish, practical and purchasing them won’t break the bank, I think it is as good as hitting a fashion bullseye! We associate jewellery with happy events in our life – a special occasion, an achievement, a treat. In a modern world it’s not just men who give gifts of jewellery (wonderful as it is when it happens) but women are becoming more and more comfortable at treating themselves to a piece that makes their heart flutter. But how would you feel if a piece designed by one brand, albeit a lesser known to a wider audience, was introduced as a new design by a top luxury brand? Ramon is a Spanish family run jewellery brand that was started many years ago, in 1888 in Barcelona, to be exact. My parents knew the matriarch founders and now a younger generation of my family keeps the traditions by being the customers as well. A few years ago two rings pictured below were purchased from Ramon. I have adored wringing them since then – they are modern, yet timeless and I feel very glamorous when I have them on my fingers, even when I am in jeans and a casual shirt. I e-mailed back with a question about the similarity of designs to my Ramon Rings and the manager kindly requested that I pop into the shop to show my rings. I send him the images and he promised me to follow it up with the Italian head-office – I am yet to hear anything back and we are in spring now. To the best of my knowledge it’s not the first time Pomellato ‘copied’ the designs but sadly there is not much Ramon, being a smaller brand can do about it – is that what we call ‘fair competition’ ? Ramon works with Chanel, among their other customers, and their shop is a treasure trove where I can be happily lost for hours, browsing the designs and asking questions. Their service is always prompt and courteous and their designs appeal to a wide audience of customers, including very young customers. Today Pomellato is one of the Top Five Brands with the fastest sales, alongside Bulgari, Chopard, Tiffany and Cartier, with the prices to match and beautiful Salma Hayek as the face of their latest campaign. The brand was founded in Italy in 1967 in Milan. They have a reputation of innovators, which considering this issue, doesn’t sit well with me personally. From a brand like theirs I would expect originality, especially considering their prices, yet they seem to get away with what they do and ignoring the questions from a customer that raises the issue that makes me, for one, feel uncomfortable. In our day and time, when everything is super fast and quickly available, I view originality and craftsmanship as true luxuries. How does one originate ideas? Where does one’s inspiration come from? What’s first – the chicken or the egg? We all love Zara and shop there but they don’t pretend to come up with original ideas when it comes to clothes & accessories design. From a brand like Pomellato I would expect uniqueness when it comes to their collections. A dash of honesty would help as well. With every season change the subject of fashion comes to the forefront of female mind and with it we think what new purchases need to be made, in order to make us walk hand- in-hand with fashionable trends or maintain our classical styles with a modern edge. For me accessories always offer a fresh way of completing a look and one of my trusted brands is Milli Millu. Mireia, Milli Millu’s founder and her team always keep customers favourite styles ( adding new colour combinations ) as well as introducing new styles twice a year. 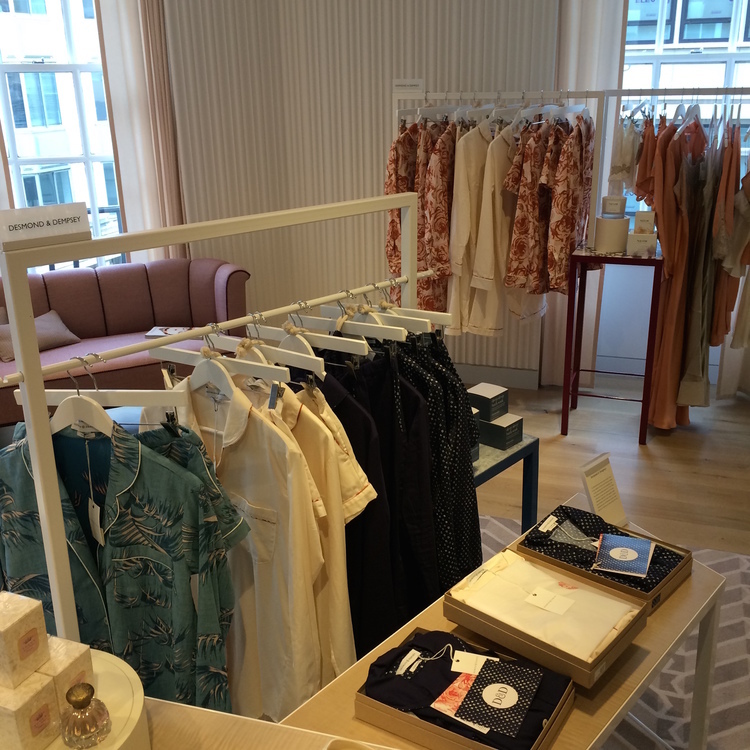 Shall we have a look at Milli Millu SS15 collection ? Above you have the candy coloured selection of The Stockholm, as well as my personal favourite The Midi Zurich. Both are incredibly roomy and will take you from work to a night out easily. 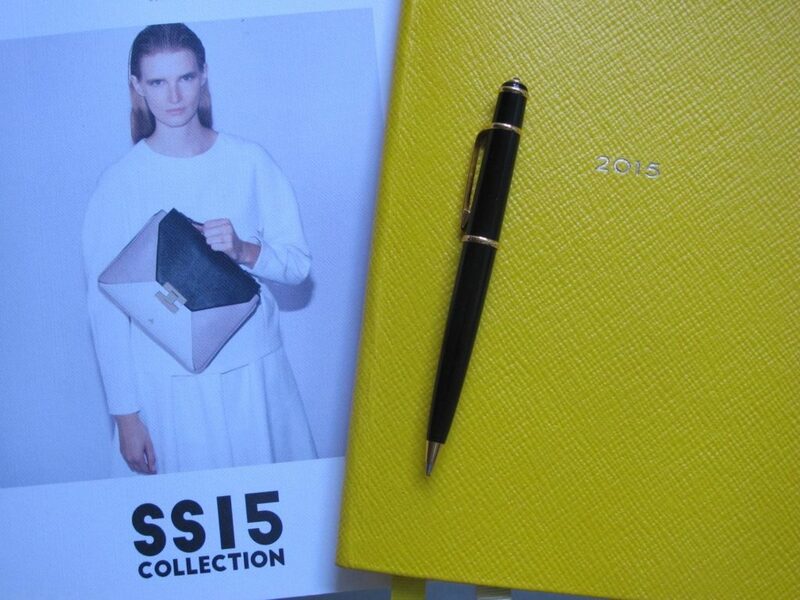 The Bogota is the new addition and the combination of sand, yellow and off-white is particularly striking. You have a handle that is comfortable for the hand or shoulder plus there is a strap , offering you another option on the way to carry this bag. Practical for travel but equally attractive as a daily carry-all. The Seattle is for those women who can fit their life into a compact bag. There are two sections and it has more room than let’s say a clutch, making it a lovely option for a school run or travel, to keep your valuables and documents in, leaving your hands free. A couple of months ago British leather goods brand Milli Millu expanded their range of products with an addition of small leather goods collections and it is both cool & charming. 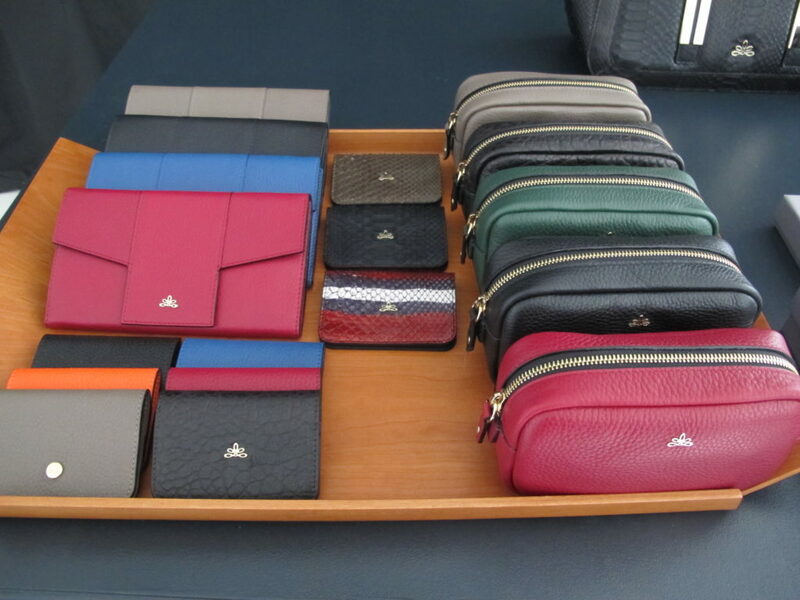 There is a choice of different style wallets, business card holders, make-up bags, as well as a multi-tasking pouch. My personal favourite is The St. Germain wallet, which can double up as an evening clutch. There are a few types of grains of leather as well as colours to choose from, but the one in large black grain is particularly eye-catching. There is The Soho that will help you keep your finances organised thanks to multiple compartments for cards & notes, as well as a zipped section for coins. Or you might fancy The Kensington which will become your indispensable travel companion – it has compartments for notes, cards, your travel documents and a zipped coin section. If it is the new make-up bag that you are after there is the compact but roomy The Notting Hill. You might fancy yourself a slim, multi-tasking The Duomo with engraved pale gold studs for a rock chick element or the sleek The Brooklyn pouch. Milli Millu is a British brand that makes eye-catching leather bags with a sense of occasion and women’s needs always at the back of a mind. The team recently moved into a spacious & beautiful new showroom on Buckingham Palace Road and with high ceilings, two large rooms and garden access ( I can see myself sitting on a bench with a glass of Pimm’s in one hand and a new Milli Millu catalogue in another, enjoying the sunshine streaming through the trees and contemplating which bag I would like to add to my existing collection ) it certainly is a hub of serene yet buzzing activity. When Mireia, brand’s founder, starts working on a new collection she considers what has been missing in the previous one, judging on her customers feedback – was it a slouchy bag ? a small bag ? a flirty bag ?- then examines materials and colours ( when visiting the fairs it is always helpful to go and immerse yourself in a Trend Section and make decisions based on the existing customer base ). The selection gets made, the team comes together to discuss things, including the practicalities – as the result of that, for example, now you can request longer handles on your bags, making your bag feel more custom-made. Another benefit of Milli Millu bags is that they will keep your belongings secure when you travel, be it on a bus or on a ferry, with multiple practical pockets and secure zippers preventing someone putting their hand into your bad uninvited. New collection is certainly eye-catching, whatever bag size you favour for work and play. There is the Luxembourg, with the unusual pattern of stripped calf hair against black background or a combination of midnight blue and azur or a very striking one in black, green & off-white grain. For the stylish, maybe a slightly flirtier side of a woman, there is a small sized the Kyoto – check out the combination of aubergine, purple and off-white or midnight blue, azure & off-white. You can play with the chain and wear it across the body during the day ( perfect for shopping trips or travel excursions ) or make it shorter for the evening ( crackled bronze or dark brown & animal print calf hair are like an art piece in miniature ) – one bag, two options for totally different looks. Consider the Florence, which has something of Gucci & Louis Vuitton about it yet stands all on its own. It has a slouchy feel which you might enjoy in your travel accessory or a handy companion for a weekend away. Then there is the Nairobi which can be custom-made in a striking cognac mock croc or you might go for a classic deep taupe grain that will be your timeless, faithful friend – taking your from a school run to the lunch with a business client. If you already own or have your eye on one of Milli Millu best-sellers, the Zurich, you can now also have it in a midi-size. While the original is a big bag that works well for the office, the travels or can carry all of your baby’s paraphilia while making you feel like a supremely stylish mum, the midi version is slightly subtler and while is still very roomy, it is somewhat more compact & very Lady-like. Last, but certainly not least, there is the Reykjavik which retains both the youthful, current factor, with a slightly mannish feel. The brown version with an artful animal print is quite striking in real life, you will almost feel like putting it on your mantelpiece and examining it like a painting, finding the subtleties and nuances each time you look at it. Milli Millu new A/W 2014/15 collection will be presented to the Ambassadors at the end of June, with the bags becoming available from the shop starting from August. There are also some interesting developments and additions in the pipeline and take my word for it, they will be very much to your liking.